Request a Radiant Pool Quote! Hi, and thanks for visiting our site. We are truly happy you’re here! We wanted to share with you our unique approach to giving you pool quotes. At Rintoul's we have set our website up to educate you on pools and Hot Tubs with a no pressure approach so you can make sound decisions based on the information. Relax you’re in good hands. Every backyard is unique upon itself. 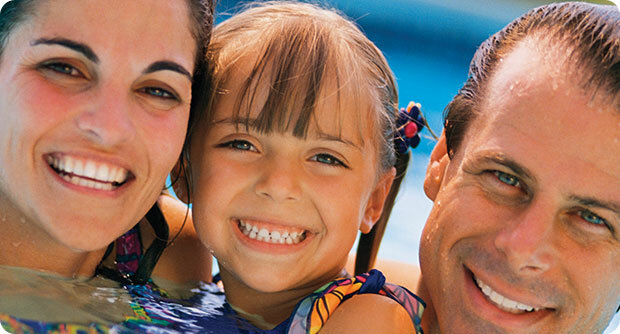 The cost of our basic pool package remain constant. This allows us to give you an accurate quote based on the model you maybe interested in investing in. Their 2-inch thick wall panels are constructed of an EPS (expanded polystyrene) foam insulation core bonded between sheets of durable acrylic coated aluminum. The patented bonding process that joins the three layers creates a rigid wall that is far stronger and more durable than any other pool wall. Radiant Pools are made from the highest quality materials that will last forever. All aluminum components make this pool completely rust free. It will never rust, warp or crack – they guarantee it. Tested and proven for over 50 years! After installing over 1500 pools in over 40 years, we have learned what questions to ask to enable us to provide you with accurate pricing based on our conversation with you. Radiant Pools are Guaranteed to Last For Generations! Never a hassle, never a worry. We have confidence in our pools. You deserve the same confidence in your warranty. Every Radiant pool comes with a 100% Lifetime, Fully Transferable, Non-Prorated Warranty against manufacturing defects for as long as you own your pool – and beyond! Incredible Added Value. Maximum Return On Investment. If a Radiant Pool owner should sell their home, the lifetime warranty transfers to the new owner for as long as they own the home. This unique Transferable Warranty provides added value and reassurance for you and any future owner of your Radiant pool. The Metric Series warranty includes protection from winter damage! Snow and ice buildup can destroy a traditional above ground pool. The incredibly strong 2-inch thick Radiant pool wall eliminates this potential harm. Their warranty protects your Metric Series pool in the unlikely event that winter damage occurs. 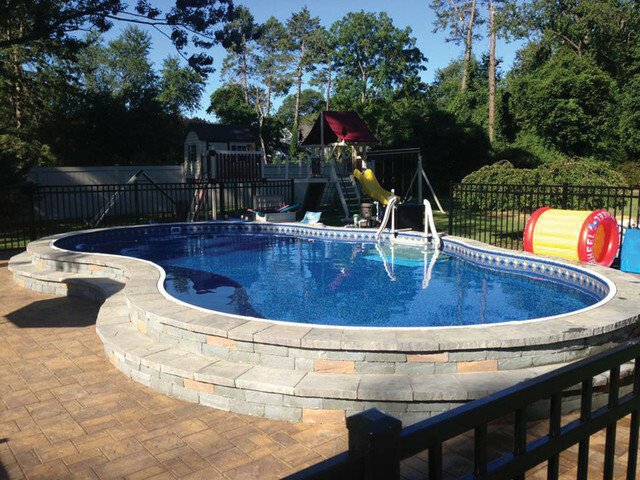 Compare our warranty to any other aboveground or semi-inground pool. No other manufacturer offers this protection! With every Radiant Pool, you get true value and peace of mind. You tell us what pool models and options you’re interested in and we’ll give you pricing either over the phone or via email. We will also discuss other options as needed such as patio and fence work or even retaining walls. We can give you exact pricing on the pool and pool options, and a general price range on the other items. From there, if the pricing looks good and you’re relatively certain Rintoul's Pools & Hot Tubs is the company for you, we’ll set up a site visit where we can finalize the design and pricing, and assuming there were no surprises, collect a deposit and get busy making your pool dreams come true! Ready? Great... simply click quote below and we'll be in touch in a timely manner.